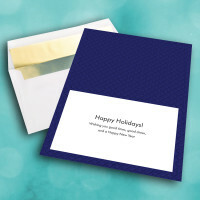 A stylish, simple greeting card to send some meaningful holiday wishes. 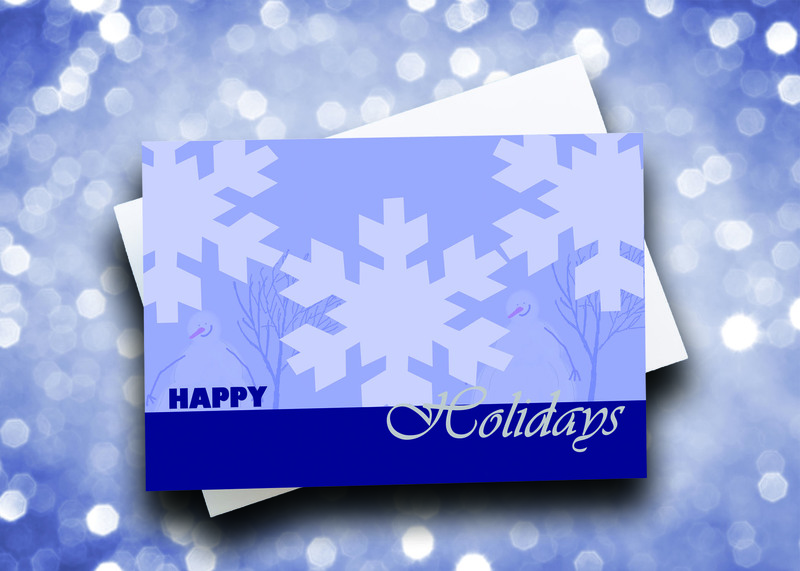 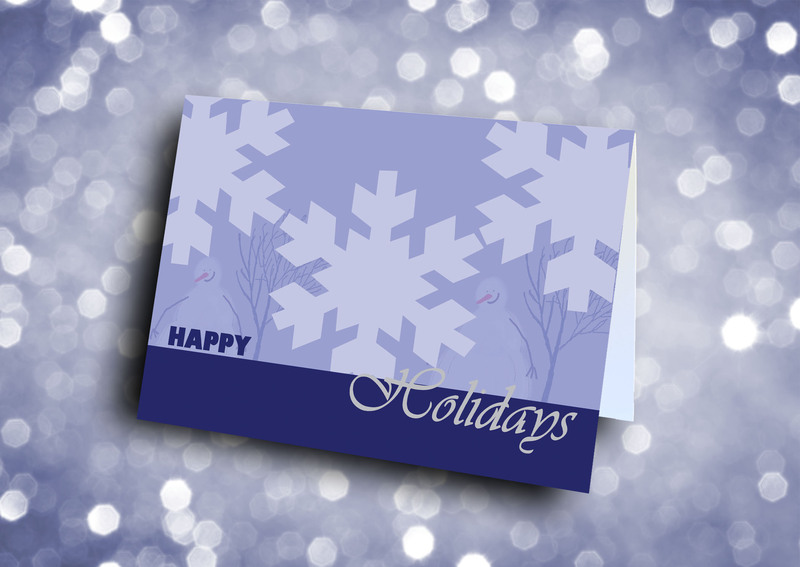 This artsy, unique card is the perfect holiday card for businesses or for your personal life. 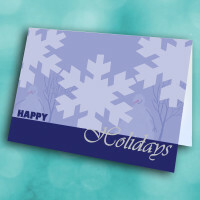 Prominent on the front are three geometric snowflakes, two sly snowmen just peeking out from behind them. 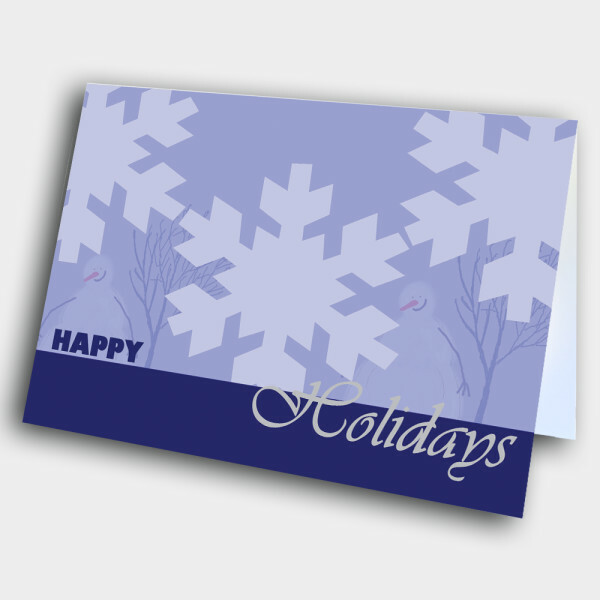 The holiday greeting is set across the bottom. 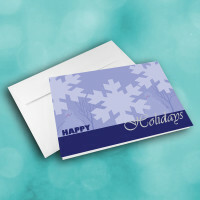 The deep-blue inside is patterned with detailed diamonds, and displays a simple message. 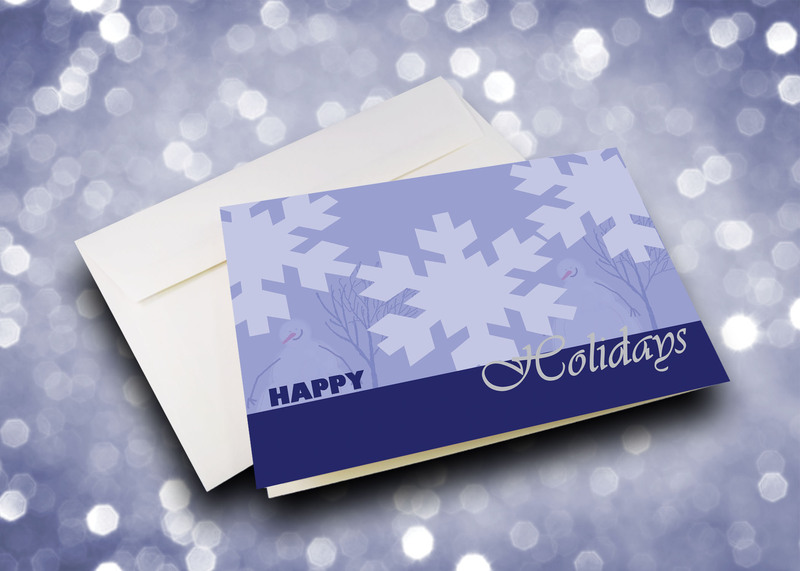 Add a personalized message to make this holiday card more meaningful.